Have you ever wondered how The Barn at Twin Oaks Ranch planning process works? Well.. You're in luck because today we are chatting with Emily Hester, one of our awesome 2014 Barn Brides, to get the down low on how she is coming together with The Barn crew to create her dream wedding. We will hear a little bit about her and future hubby, her plans for their big day and also how she came to be a Barn Bride.. So, sit back and relax while you swoon over the images in this post. Emily, a small town Sheridan girl, knew the minute she laid eyes on Casey that he was the "kind of man you married". She jokes that while this born and raised Russellville boy immediately caught her attention, it took him a little while to give her a second look. Being college sweethearts with a strong foundation built on faith, it only makes sense that 5 years later this boy is giving her his last second look..
"A thoughtful, considerate and amazing man" as Emily describes her soon to be hubby, is also one with a few tricks up his sleeve. Casey managed to concoct the perfect proposal full of surprises, romance and family - something that is very near and dear to sweet Emily. He planned the proposal on the same day as Emily's mom and dad's wedding anniversary. So, while Emily was busy shopping 'til she dropped with her mom and sister, Casey was back at her house setting up a room full of roses, candles (which he found can heat a room up rather quickly when you are anxiously waiting) and a custom "I SAID YES" t-shirt. Emily, a little peeved at this point with her parents for not taking her to dinner, soon arrived back at her house. "Something just isn't right" she thought to herself. Immediately scared to death by a moving male figure in her bedroom, Emily let out a scream and took off running. "Weird" she thought, burglars normally don't light candles for you and they certainly don't turn on music. Peeking around the corner, nervous Emily realized that this was in fact, not a burglar.. 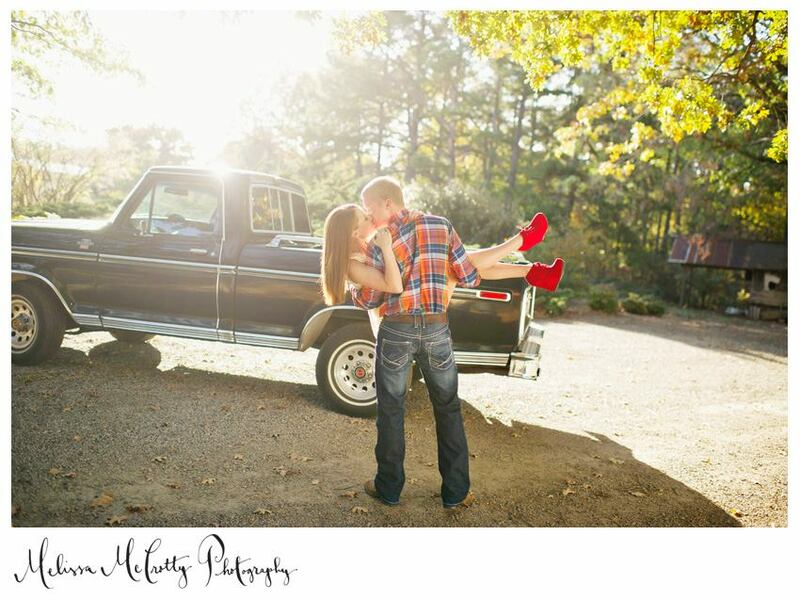 It was her sweet Casey Alan, the love of her life, and he was asking her to be his wife. Warning: These images may get a little steamy, and Emily's red shoes... Super hot! Everyone knows how important and stressful picking a venue can be, but it truly was fate (and a little bit of luck) that brought this Bride to The Barn! Being a former Barn Styled Session couple photographed by Melissa McCrotty, Emily knew one thing for sure.. She wanted Melissa to be her wedding photographer. However, with May wedding dates so high in demand, Emily had trouble coordinating a venue with a date that worked with her dream photographer. 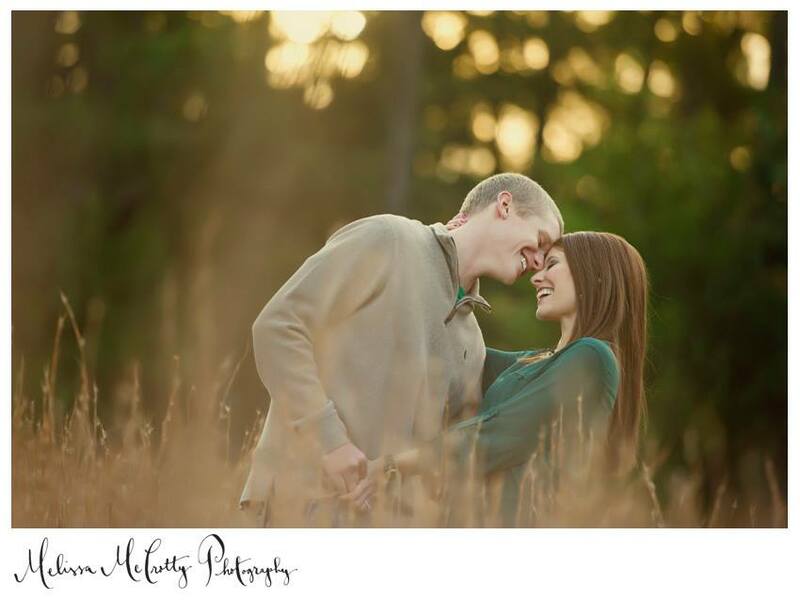 May 31st was the only May date that Melissa McCrotty had available, so after booking a different venue on a different date in May, it seemed as though her perfect photographer had slipped right through her fingers. Then it happened again.. Emily got that gut feeling that something just wasn't right, but this time it was a feeling that only comes around when you know you are making the wrong decision. And she was.. She was sacrificing something that was very important to her just to settle for something that wasn't - which is something that no bride should ever have to do on her big day. Confused, Emily decided to give Lesleigh a call to check out The Barn - even though "the date" still wasn't available. 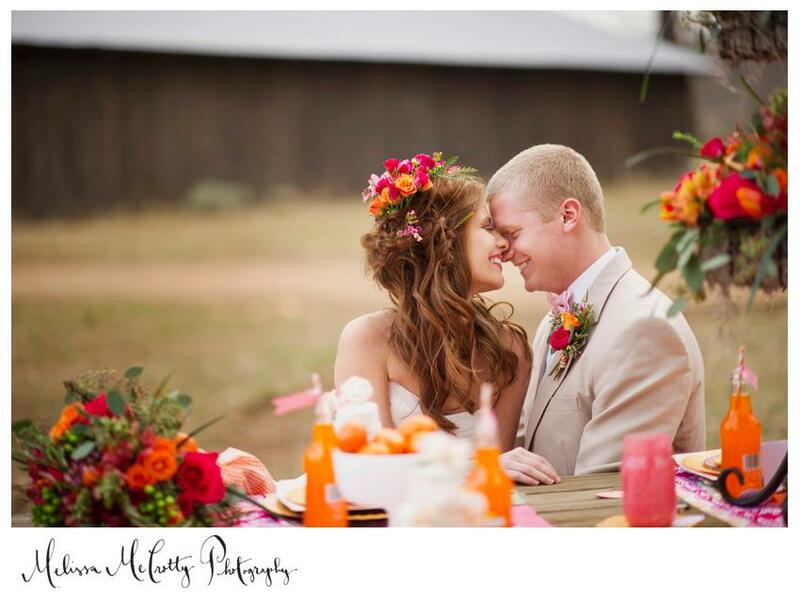 After meeting with Lesleigh, Emily and her mother both fell in LOVE with The Barn. When Lesleigh asked what date Emily had been hoping for, she then nonchalantly glanced at her calendar only to reveal to Emily that her dream had come true.. May 31st had JUST came available. You see, that's what Lesleigh and her Barn Crew do.. They make miracles happen. "Shut up!" was her response, and Emily knows that she truly owes the world to that Barn Bride who switched her date because now she is able to have her dream venue, dream photographer and dream wedding date... May 31st, 2014. 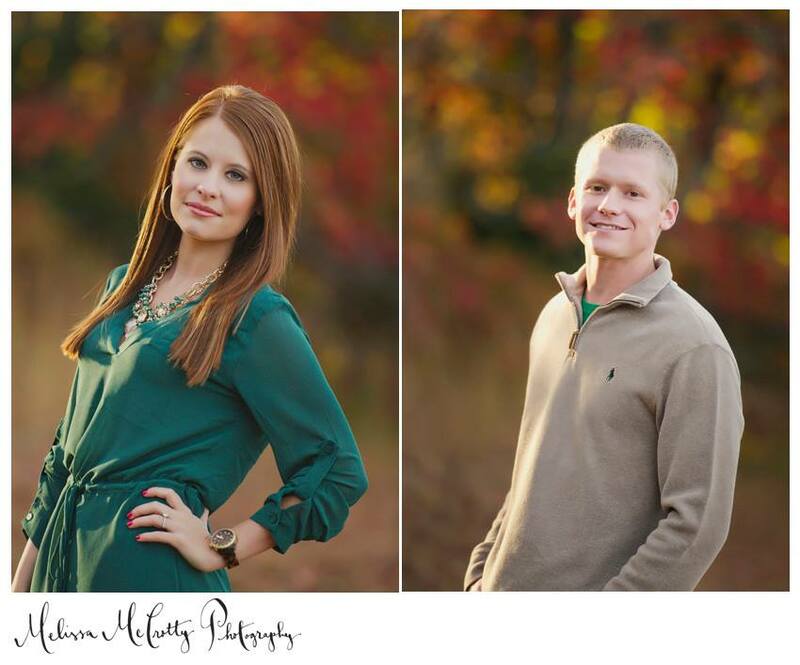 This next set of images came from Emily + Casey's Styled Session at The Barn.. Photographed by Melissa McCrotty of course! After touring and booking The Barn, Emily was asked to fill out a questionnaire with tons of questions regarding her big day. These questions cover everything, and I mean everything, that you could possibly imagine. They ask about guest count, color schemes, music and everything in between. This questionnaire really helps to give the planners an idea of what you are trying to achieve while also making sure that the bride has covered all of her bases. With that being said, don't worry if you've left a few bases uncovered because The Barn team will not let anything slip through the cracks. They even offered to help Emily plan her honeymoon! You will also have a series of consultations leading up to your big day so that you can really see it all coming to life. The Barn Crew will have the itinerary planned out as well as show you live table set ups, invitation samples and so much more! These girls are on top of their game, and the best advice Emily has is to just let them run with it. Put all your trust in Lesleigh and her crew to make your wedding unique, beautiful and completely stress free. 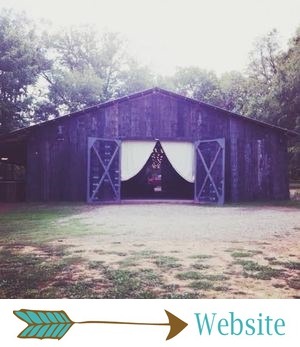 As a Barn Bride, you will also be asked to create a Wedding Pinterest Board so that The Barn can follow you and really get a feel for what it is you are looking for. This is an absolutely fabulous idea because sometimes we can't put into words what we are wanting, and instead we can create an over all idea that allows The Barn to really pull our style together. Here is a look into Miss Emily's Fairytale Pinterest Board.. Yes, that is glittery gold that you see there.. Swoon. Emily + Casey plan on making their day their own simply by surrounding themselves with the ones that they hold dearest to their hearts. Family will be an important staple of their big day, from the getting ready phase all the way down to getting the reception party started! 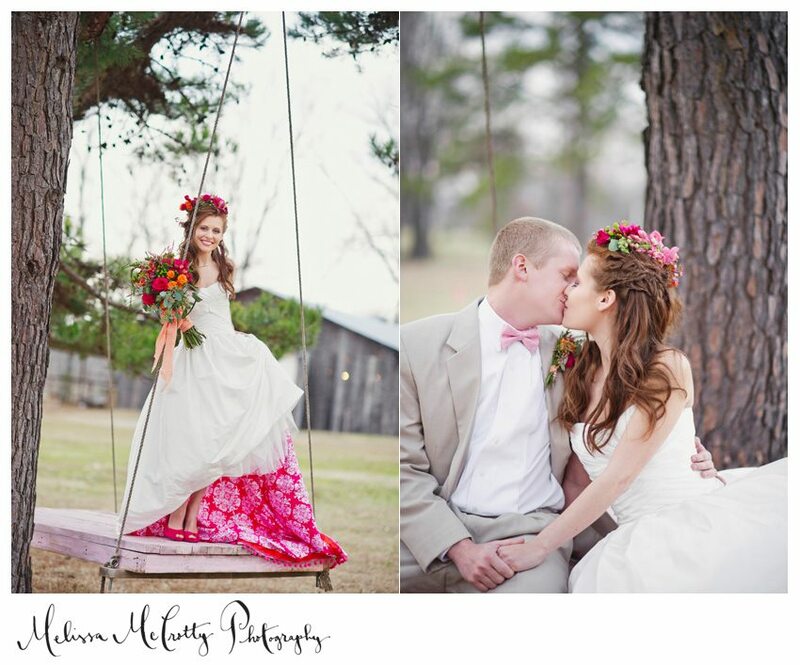 With a timeless and elegant theme in mind, Emily + The Barn Girls will truly create a wedding to be remembered. We can't give you all the details because that would just ruin the surprise... But, I can tell you that there will be a neutral color scheme with light pink accents and white glitter during the ceremony! Eeek! Emily promises that their wedding will definitely have that wow factor, and that it will be overflowing with elements and ideas that we have never seen before! When I asked Emily what the most important part of her wedding day was to her, this is the super sweet answer that I got..
Emily, thank you so much for working with me on this first ever Wedding Planning post! Your enthusiasm for marrying Casey is something to be admired, and I hope that when you marry the man of your dreams it is nothing short of amazing. We will be catching up with you again soon, and I can't wait to see how The Barn Crew + your dream photographer ROCK this wedding!